Sleep, or rather the lack of it, is a parent’s favourite conversation topic. From night feeds to nap times, you can guarantee that us parents will have analysed it in depth. Usually over coffee. Really strong coffee. Even if your child sleeps well, there’s nothing quite like those long nights and lazy lie-ins of your pre-child life. Remember those? No, me neither. Sleep was actually one of the reasons we decided to have children close together, as ridiculous as it sounds. Our son woke us up every 90 minutes for the first 18 months of his life. Just as he started to sleep a bit better, we thought it was time to do it all over again before we got used to feeling well rested. After months of pregnancy insomnia, we’re now firmly back in night feed territory again. And once again, sleep, or rather the lack of it, is ruling our world. As tempting as it may be to skip the shower in favour of a couple extra moments in bed, don’t. Even a quick shower can help make all the difference when it comes to freshening you up to face the day ahead. If you’re brave enough (or just that tired), try a blast of cooler water at the end to really wake you up. Can’t manage a shower in the mornings? A good splash of cold water to the face will help liven you up and as an added bonus can work wonders for your skin! It can seem counterproductive when you’re exhausted to then go and exercise. Why would you want to tire yourself out even more?! Exercise can actually help to boost your energy levels as well as leave you pumped full of happy hormones. Throw in the added bonuses of feeling a bit smug at being so healthy and wearing out the children and there’s really no good reason why you wouldn’t do some. Strap the baby into a carrier, load up the pram and power walk your way to the park/woods/beach/shops. 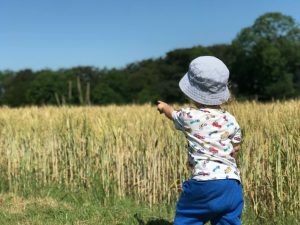 If you’re looking for further exercise ideas why not check out some of our favourite ways to work out as a family. The fuel of parents. Caffeine is our life blood. Sure, we all know that too much of the stuff can be bad for our sleep but that seems to be the case for most good things these days. Everything in moderation right?! A good coffee sets Dave up for the day and strangely helps him wind down at night (okay, so that might be decaf! 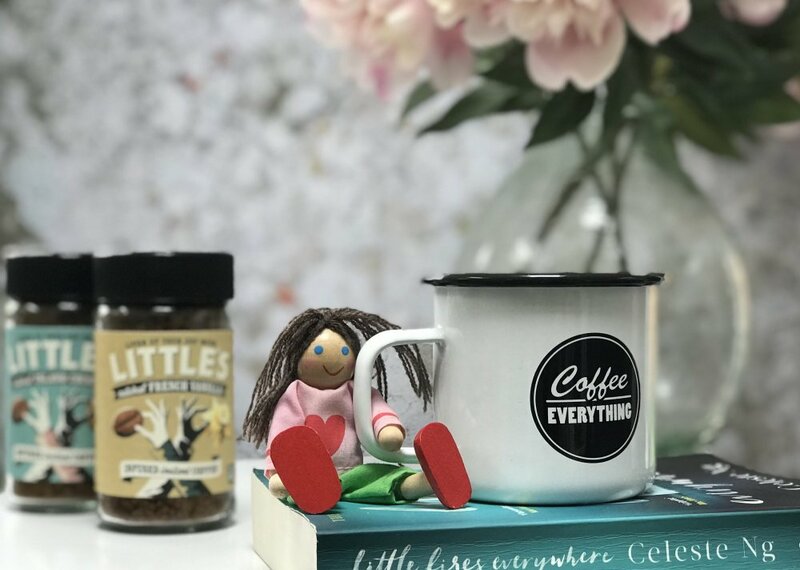 ), I’ve even got in on the act thanks to a little help from We Are Little’s flavoured coffee… something that tastes like holidays and perks me up at the same time? That’ll be their Island Coconut flavour. Perfect for that mid-morning slump and dreaming of being far, far away on a desert island. Dehydration can present in many different forms, with hunger and tiredness being two of the most common. Did you know that by the time you feel thirsty, you’re already slightly dehydrated? 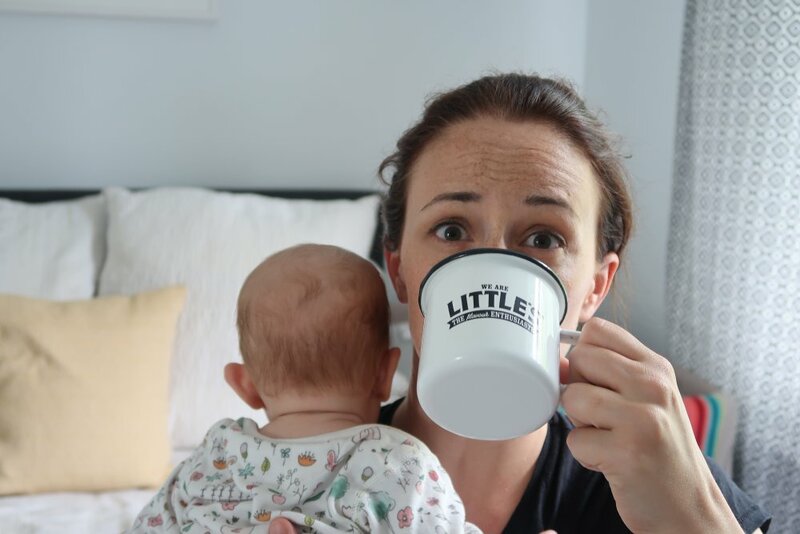 As parents we spend our lives ensuring our little ones drink plenty of water but when it comes to ourselves, we’re less on the ball. Why not invest in a water bottle to take around with you and help you keep track of how much you’ve drunk each day? That way you can take it to bed, in the car, even tuck it into the change bag. Not in to water? Try flavouring it with fruit slices, cucumber or sugar free cordials, even hot drinks like coffee will help rehydrate you, just try to avoid sugary ones! Okay so you may not be getting much sleep, but if you can’t catch those zzzz’s then at least try and get some rest where you can. 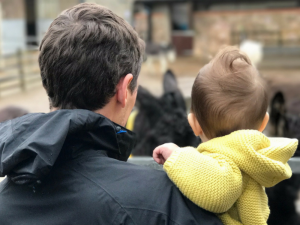 Relaxing isn’t just about sitting down, it’s about de-stressing and chilling out something that can be hard to do as a parent. Let me let you into a little secret… no-one ever died from not washing the dishes up straight away, from not making the beds, or folding the washing. 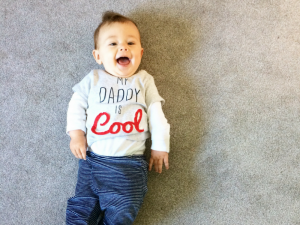 Whether you’re making the most of a nap time, stuck under a feeding baby or using that digital babysitter (my personal favourite) there’s absolutely no shame in just sitting still for a second and enjoying it. Scroll away on your phone, close your eyes (briefly), drink a hot cup of coffee. Breathe. The less stressed you are, the more likely you are to sleep well when you eventually get to sleep. It’s quality not quantity, right?! Right. Looking for a coffee that will liven up your cup? 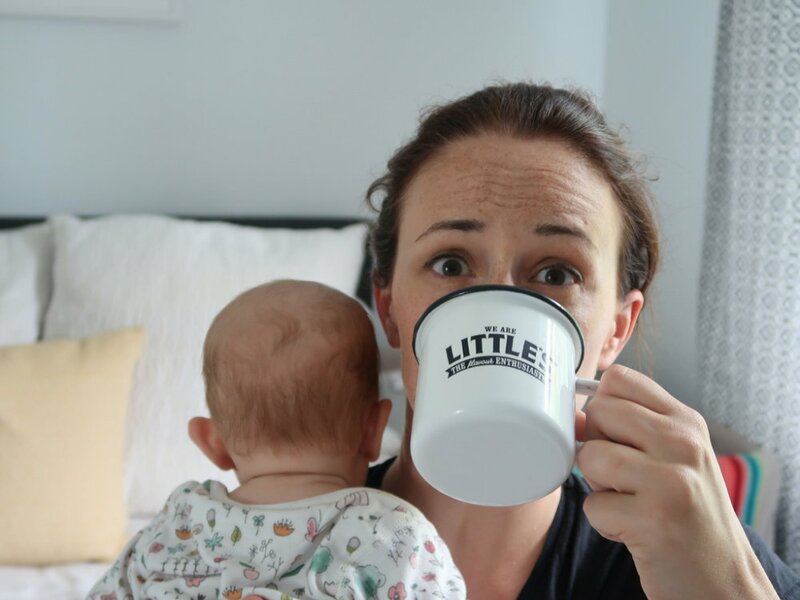 We Are Little’s are committed flavour enthusiasts and proud. 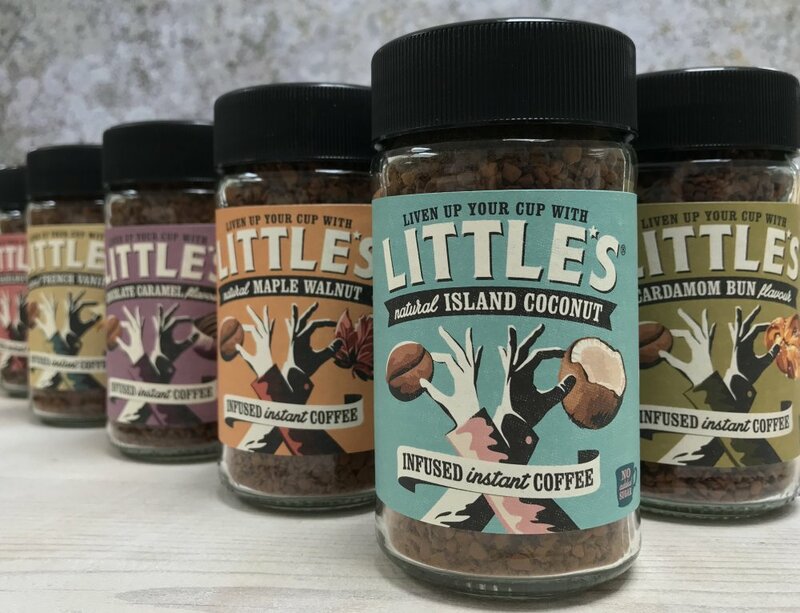 Inspired by Californian speciality coffee roasters, We Are Little’s have over 25 years of experience at infusing the best Arabica coffee with flavour extracts that you’ll love. From coconut to cardamom bun, maple walnut to vanilla, there’s a flavour to suit every taste bud of every sleep deprived parent out there! Yummy. I am a huge coffee fan and these flavoured ones look incredible! I am desperate to try the cardamom one. Can’t believe it took your son 18 months to sleep through, you always look so awake. Must be all the coffee….. Honestly, the flavour range is incredible. They even do decaf which is perfect for pregnancy/just before bed! ALLLLLLL of the caffeine and ALLLLLLL of the concealer makes me look half awake!